HOPE is for children ages 2 years old to kindergarten. It brings together parents and children of the same age who share common interests and offers opportunities to build friendships that help us grow both spiritually and socially. 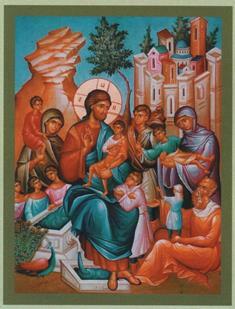 The mission of HOPE is to strengthen the relationship of young Orthodox Christians. The program works to educate young members of Holy Trinity, encouraging them to become active sacramental participants in Church. HOPE provides an opportunity to come together for religious education and fellowship. HOPE meets on the 1st Thursday of every month at 6:00 p.m. in the ALS Community Center.